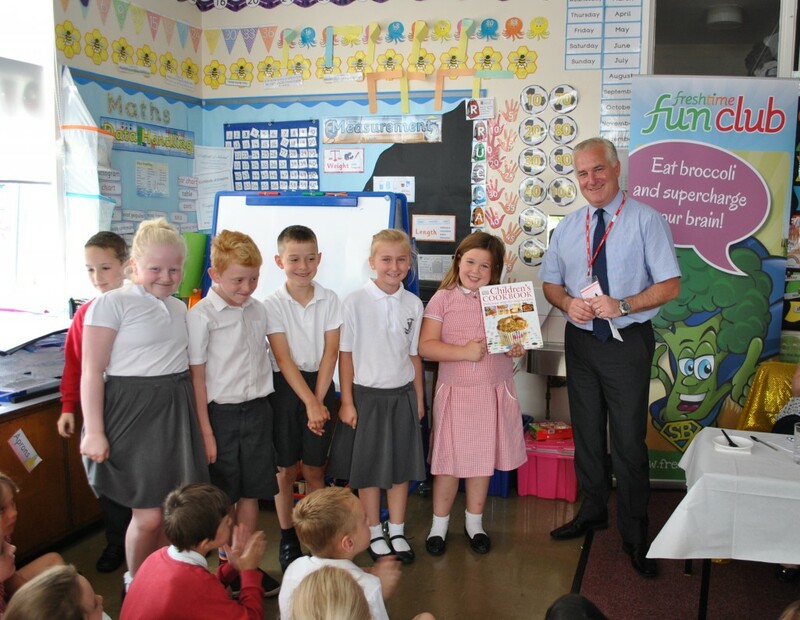 Boston primary school children took on the dragons and won a cookery book during a Dragon’s Den-style challenge set by chilled food producer Freshtime on the final day of the Fun Club. Earlier today (Friday) 60 year 3 pupils at St Thomas’ Primary School presented fresh and healthy salads to a panel of judges, at the end of a week-long task. The brief, delivered on Monday via video link, challenged the children to work in small groups to create a new recipe, order the ingredients and design the packaging, poster and a presentation. The exercise marks the end of this year’s Freshtime Fun Club, which works with local school children to raise awareness of healthy eating and where food comes from. “The children have really engaged in the challenge this week,” said Alison Smith, Year 3 Teacher at St Thomas’ Primary School. “We mixed up the classes so the groups would be more diverse and we have been really impressed with their behaviour and how well they have worked together. 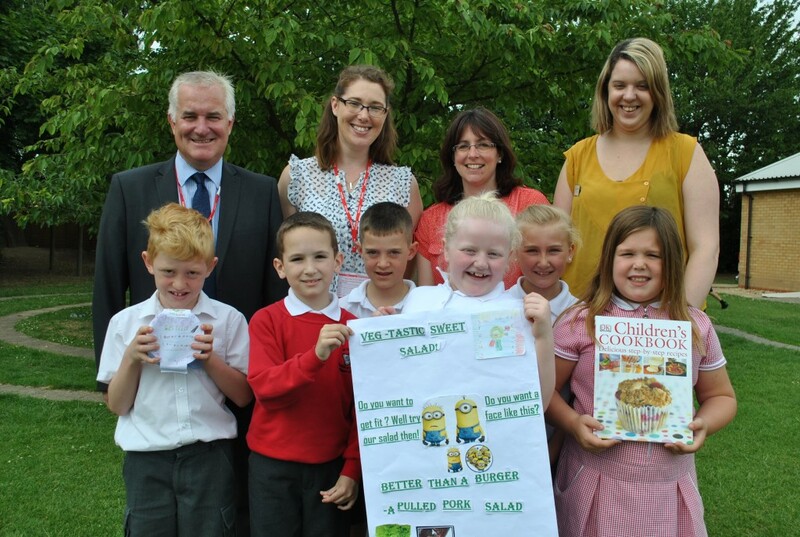 The panel of expert judges made up of Mark Newton, MD at Freshtime, Amy Jaques, a Year 6 Teacher at St Thomas’, and Kerri Saxby from Shooting Star, had a difficult task in selecting the overall winner as all of the salads were healthy, tasty, filling and appealing. Head judge Mark Newton congratulated all of the groups for their hard work and presentations, saying: “It is obvious that you know lots about nutrition and eating a healthy balance diet. Mark went on to present the winners of the challenge, Team Super Salad, who created a pulled pork salad and the tag line ‘What’s better than a burger? A pulled pork salad!’ with a children’s cook book. All of the children who took part in the Freshtime Fun Club Dragon’s Den challenge will receive a certificate from Freshtime and house points will be awarded by the teachers.